The hill tribes straddling both sides of the Pak-Afghan border have never yielded to a central authority, either of foreign invaders or of their own rulers. The people of these tribes want to live in a free way that they deem fit for themselves -- both individually and collectively, they want to take their own decisions and resist being dictated. This trait, essentially, is a manifestation of the Pashtun psyche, which is even more pronounced in the case of hill tribes. In a way, it is the combined outcome of the nature and nurture of the people of these tribes -- the mountains have over the years been both their protection (providing them with security) and undoing (hindering their economic growth and inclusion in the political mainstream). The implementation of any government's agenda, of course, depends on the degree of political will it has to put its manifesto into practice. Many previous governments' agendas have either not been implemented or have been only partially implemented not so much for the reason that there was something inherently wrong with the agendas, but because the governments in question lacked the political will to implement them. The Ziaul Haq period was the most damaging for the country. Dr Anis Alam was born in Agra in 1943. His parents belonged to the landed gentry of the Uttar Pradesh state. His childhood memory is chanting "Lay kay rahain gay Pakistan" in processions. His family migrated to Karachi in 1947 after the subcontinent's partition. Anis Alam's father, who was in the Military Engineering Service, was posted in Chittagong, East Pakistan, and he completed his early education there. Pakistanis are scheduled to go to the polls tomorrow. It is a measure of the quite extraordinary state of affairs in the country that even till the last day before the announced date for the general elections there is still so much suspicion, to the point that there remain lingering doubts about whether the elections will be held at all. "Let not a cobbler do what the chef does best," says an old Punjabi saying. For the last eight years, the military junta has been proudly claiming that it had managed an economic miracle. As the mist of its clout is clearing, it is becoming increasingly clear that the military junta has landed Pakistan in a complete economic, social and political mess -- one that seems insurmountable. How will the government to be installed after tomorrow's general elections manage to change this doomsday scenario? We must, for starters, acknowledge that the generals have landed this country in a deep pit that threatens its very existence. For this reason, the evil of the military ousting an elected government must be curbed once and for all. With the general elections scheduled to be held tomorrow, everyone is focussing on events in the short-term. This, however, should not, as it always does, overshadow the long-term objectives and aspirations of Pakistan in the international context. Over the course of our history, the masses have been effectively marginalised by decision-makers, who themselves set the agenda and ideology that they believe serve the interests of our country. With the general elections scheduled for tomorrow, the main issue of concern for all the citizens currently is that with so many pressing issues needed to be addressed at the earliest, how any new government would be able to cope with them. Besides the economic, electricity, gas, flour and other crises of this nature, the new government will also be faced with other pressing challenges at the domestic front. For example, the wave of judicial activism mounting since March 9, 2007, has not yet faded and even the proclamation of emergency and subsequent measures have failed to put an end to it. The people of Pakistan will cast their votes tomorrow -- amid fears of violence and rigging -- with six key political parties, three major and three minor, in the election fray. The three major players are the Pakistan People's Party (PPP), the Pakistan Muslim League-Nawaz (PML-N) and the Pakistan Muslim League-Quaid (PML-Q), while the three minor ones are the Mutahida Qaumi Movement (MQM), the Jamiat Ulema-e-Islam-Fazl (JUI-F) and the Awami National Party (ANP). Political pundits have been busy forecasting possible post-election scenarios. A few things, however, are obvious beyond doubt -- there shall be a transition to dilute the autocratic remnants that are deeply embedded in the present dispensation of decision-making. The greatest casualty in the course of events has been governance, necessary to carry out the usual business of life in a peaceful and uninterrupted manner. Like all the past military dictatorships, the civil and municipal machinery has faced the aftermath of interference in the running of basic affairs of cities and hinterland. Another worth noting similarity is the creation of a self serving local government system, enacted to gain a falsified sense of legitimacy. As a result, one finds a weakened system of security, revenue collection at the local level, near moribund status of provincial administration and a shadow procedure of strategic decision-making. Unless the regime that ascends the throne rises to address the fundamental issues of governance, it shall pass into oblivion without making its mark. Media Monitor -- a South Asian Free Media Association (Safma) publication -- was launched in 2003 to monitor violations of media rights and protect journalists, and its first issue was published in 2004. "The main objective was to put pressure on South Asian Association for Regional Cooperation (Saarc) member countries to let media organisations and media people perform their duties independently, and allow free flow of information across the borders," says Husain Naqi, regional coordinator of the South Asia Media Commission (SAMC) and editor of the Media Monitor. The annual publication aims at recording all actions, steps and legislations in the South Asian countries that affect freedom of press, access to and free flow of information, and, above all, freedom and safety of media people in the region. The North West Frontier Province (NWFP) and the Federally Administered Tribal Areas (Fata) have busted into flames from time to time. The spacing and duration of various uprisings in these areas have depended on the ambitions of invaders and their ability to come to terms with the customs of the local population. There, however, are a few striking similarities in all these uprisings, starting from the known history till today. In short, it would be appropriate to say that the history of warfare in these areas seeks continuity amidst change. The foremost similarity in all the major uprisings is that there was never a central command-and-control structure. Each of these uprisings had an epicentre, no doubt, from where it spread like wildfire to other areas. The assertion that struggle in each case was localised through the sympathy element cannot be ruled out. The second thread that runs through the history of these areas is that they were always spurred into action when an imperial power tried to make inroads into their territory and way of life. The Mughals, the Sikhs, the English, the Russians and now the Americans have all met the some response. This is mainly because of the Pashtun tradition, passed on from father to son, of refusing to bow down. The Pashtuns want to be respected and left alone, as they themselves normally harbour no evil designs against other people. Occasionally, however, they are stirred into action by religious extremists who set them marching. A third characteristic of the Pashtun struggle against imperial powers is that they always fought with extreme passion, showed tremendous capacity to sustain losses with resolution, and bore with resilience economic sanctions imposed on them. The hill tribes never had any army, so when imperial powers dispatched armies against them their response was the 'war-of-the-flea' -- the classic guerrilla tactics: gather, hit and melt at your own choice. Do not present a target to the enemy and do not be foolhardy to array in a battle line! Exhaust the patience and energy of the enemy by calm resolution. Accept losses as they come and keep going, as it is part of the game. In all the major uprisings, there have been no winners or losers in the sense of an outright victory. They all ended in stalemate when the invaders realised the folly of their polices. The only exception was the Russian defeat, which was an ignominious but nevertheless an orderly withdrawal. In other cases, the Pashtuns won in the sense that they were able to continue with their way of life. We should not forget that developments in Afghanistan have always cast their shadows on the NWFP and, more importantly, on Fata. In the past, the hill tribes have influenced the course of events in Kabul, which has also used them to advance its own designs and foment trouble for the British and later for Pakistan. Simply put, if Kabul sneezes, Fata catches cold. The Pashtuns are a composite of many contradictions -- at the same time, they are kind and murderous, generous and avaricious, faithful and dishonest, and brave and cautious. They retain the heat in their blood and are inclined towards raucity, and violence of action and speech. They maintain a proud independence of spirit and dignity of carriage, even in misfortune, poverty and war. Chivalry flourishes amid the squalor of populace. Most of them are poor, but all claim nobility. One relatively less acknowledged contradiction in the Pashtuns is that they derides a mulla and consider him socially inferior. Yet, in the times of war, they lend him their sinews. Mullas have been on the forefront in many uprisings. Another important lesson that we learn from the history of Pashtuns is that when all else failed, it was the political path which succeeded. The Pashtuns, despite the iron in their blood, are susceptible to peaceful overtures, especially if they are backed by gold. They will disengage with violence provided their honour remains intact. Gold, yes, but honour first. The sooner this is realised by the invaders, the better it will be for the two sides. These people in rags have reduced many personal and imperial ambitions to dust when they were not understood and dealt with accordingly. The political officers posted in the NWFP and Fata who learnt this formula by heart always used it to great effect. Let us briefly open a few chapters from the history of these areas! Khushal Khan Khattak's revolt in the 17th century against the Mughal empire is instructive. Khushal was a loyal vassal of the Mughals, as he captured the Gwalior fort for them after all earlier attempts had failed. An ill-advised governor of Kabul hit at his economic interests and insulted him personally. This was enough for Khushal to revolt against the Mughal empire (not an easy decision for a local chieftain). He organised a confederacy of Khattak, Afridi, Mohmand and Orakazai tribes against the Mughal army, and inflicted crushing defeats on it. The uprising grew to an extent that Emperor Aurangzeb had to personally come and camp at Hassan Abdal for one-and-a-half-years to quell it. This was at a time when Aurangzeb was under extreme pressure from the Marhatas. When nothing worked for him and the weight of his arms failed, he got down to try the political path, winning one chieftain after another by exploiting the distrust among them. He even managed to win the loyalty of Khushal's son, Ashraf Khan, and brother, Behram. Khushal died heart broken in 1689, but left behind epic poetry that to this day is the fuel of Pashtun nationalism. Interestingly, contrary to the general perception, the Pashtuns lack nationalist compulsion. They are divided into tribes who think locally. Though there is a general association with the greater Pashtun nationhood, it has never developed in concrete terms to give rise to a struggle for a separate Pashtun state. There are many reasons for it. They all practice Pashtunwali, their code, which is more than enough for them. "The Pashtun tribal structure has remained sufficiently vigorous that an individual Pathan can and does find it possible to realise his objectives within it and thus lacks the incentive to replace it," according to James W Spain. The Sikh (mis)rule in the NWFP and Fata was brief. European officers were appointed in the province to manage the administration. An Italian governor of Peshawar, Avatibble, behaved like a savage in dealing with the locals. He thought that was the only way to impress them. It did not. From rope to axe, everything passed between the Sikhs and the Pashtuns. The latter also lost some fair lands around Peshawar in this brief period, which the Sikhs colonised with the help of Awans and other people from Punjab. The British period in the NWFP and Fata was more exciting, and underscores the lessons narrated above in more than one ways. The British had one over-arching strategic purpose in these areas and Afghanistan -- to protect their 'Golden Sparrow' from the advancing 'Bear' from the North. How to do this?. The manoeuvres and counter manoeuvres between the two powers came to be known as the 'Great Game'. The British kept on changing their policies, as they struggled against the resistance offered by the tribesmen -- who knew that they were the third party to the game, and decided to play it at a time and place of their own choosing. Historians know about the First Afghan War (1839-1841), the Second Afghan War (1878-1880) and the Third Afghan War (1919-20). Their details are not relevant here. What is relevant is that these wars took place because of the aggressive policy ('Forward Policy') followed by the British. In the first two wars, the British dispatched large armies to Afghanistan, occupied Kabul and other cities without much resistance, and put their favourites on the throne. But hardly a year had passed each time that the storm started gathering. In the First Afghan War, the entire British force was annihilated -- except one doctor who reached Peshawar with great difficulty to narrate the harrowing story. This fact is known to most people. What many people, however, do not know is when the news reached the Viceroy Lord Auckland in Calcutta, he became speechless and went into his room. Next morning, when Auckland came out of his room, he was pale like a corpse as he had suffered a heart attack. An almost similar situation developed at the end of the Second Afghan War, as the British could barely manage to make an orderly withdrawal like the Russians did after the Third Afghan War. Amir Amanullah became free to conduct foreign policy of his country without any interference from the British. Is there any similarity between the 19th century British wars and the 20th century Russian and the 21st century United States-led war in Afghanistan?. The American forces occupied Afghanistan in 2002 starting a 'New Great Game'. The Afghans withdrew without much resistance. By 2003, however, the resistance surfaced and has grown ever since. The interregnum between the First and the Second Afghan Wars is known as 'masterly inactively'. The British did not interfere in Afghanistan and peace prevailed. Lord Lawson was a dove and he promoted the status quo. It was argued under the 'Closed Doors System' that the British should not assume responsibility of any area that they could not control effectively. Lawson was prepared to bring the eastern border of India to Indus as its natural geographic and cultural boundary. It was also decided that the western border should lie at the district boundaries, as they were inherited from the Sikhs. Likewise, it was decided that the districts of Peshawar, Kohat and Derajat would be the bases from where the affairs of the hill tribes would be handled. A diplomatic or, as came to be known, political way was preferred over other options to deal with the hill tribes -- leave them to their own devices and protect the settled districts from their marauding raids. The 'Forward Policy' was the exact opposite of the 'Closed Doors System'. The former was advocated by hawks in Calcutta and London. It favoured pushing the international borders as far westward and northward as physically possible, by changing existing conditions in the extended areas through both education and force of arms. It was this policy that became the source of much conflict and trouble in Afghanistan and Pakistan's tribal areas. Does this look different in any way from the 'strategic depth' that some people in Pakistan have been seeking in Afghanistan, but for different reasons? "The military and political history of the Pathans is more than anything else a story of revolt," James W Span writes. The Imperial Gazetteer of India lists 54 expeditions against the hill tribes between 1849 and 1902. A proportionate number of expeditions took place between 1902 and 1947. The 'Razmak Policy' was approved by the British in the early 1920s. It was aimed at establishing advance garrisons in tribal heartland like Razmak, Tochi, etc, so that the hill tribes could be kept under check. The result was exactly the opposite. This policy was abandoned by Quaid-e-Azam Muhammad Ali Jinnah after Pakistan came into being and we had 60 years of comparative peace in the NWFP and Fata. We can relate the lessons deduced from the major uprisings in the past to what is happening today in these areas. Extensive and patient political dealings have eased the pain in the past. It is difficult to say the same about the future, but if the past is to be any guide, it points to only one direction: political solution. It will be a long and arduous process requiring agile minds, but will succeed ultimately. A case in point is land reforms. Ayub Khan's military government tried to bring about a limited measure of land reforms, but the effort was a half-hearted one at best that allowed millions of acres of agricultural land to remain in the hands of big landlords, leaving landless peasants still scratching for a living as tenants or sharecroppers of feudal landowners. The reason for the Ayub government's lack of success in this regard was that his military government had no political constituency amongst the peasantry and so felt it could ignore their need to own the land they tilled on behalf of big landlords. In the early 1970s, the Zulfikar Ali Bhutto government announced a programme of land reforms based on a complicated formula of produce index units. Under this formula, some land belonging to big landowners was confiscated by the state and distributed amongst landless peasants. But the big landowners managed to retain most of their land by transferring its ownership into the names of relatives. Even some of the land that was given to landless peasants was re-acquired by the big landowners at throwaway prices, leaving the landless peasants no better off than before. According to some estimates, only about 400,000 acres of land ended up in the hands of landless peasants. Many big landowners, especially in Sindh, managed to retain most of their vast landholdings. Some big landowners still own tens of thousands of acres of land, despite the fact that under the produce index formula they were supposed to surrender the bulk of their holdings to the state and retain no more than about 500 acres in their own names. The Zia years and the years that followed saw no further attempts by successive governments to institute land reforms. In the decade of the 1990s some big landowners who were also holders of high public office were able to use their political clout to get much of their confiscated land back ñ in some cases through legal action in the courts and in some cases through executive fiat. The Shaukat Aziz government ignored the whole question of land reforms. It was as if the problem of millions of landless peasants did not exist. Yet it does exist, of course, and needs to be urgently addressed by the next government ñ no matter of which political party or coalition of parties. It is a known fact that peasants tilling their own land usually produce more crops per acre than absentee landlords. The latter tend to be inefficient farmers, for the simple reason that the big size of their landholdings enables them to earn a lot of money even with low per-acre crop yields. If more peasants owned they land they till, Pakistan's agricultural output would go up, generating bigger surpluses of exportable crops. This would help the country to earn more foreign exchange and reduce its trade gap, which has been growing inexorably in recent years due to high oil prices and stagnating levels of exports and is currently running at $ 1.5 billion a month, or about $ 18 billion a year. Pakistan simply cannot afford to let this huge trade gap continue to increase indefinitely, because it would have disastrous consequences for the economy. And while it is true that higher levels of agricultural exports cannot eliminate the trade gap, they can certainly help to reduce it to more manageable levels. A properly organised horticultural sector can play a big part in this endeavour. Some government planners in this country tend to scoff at horticulture as a sort of cottage industry at best, but they should learn a lesson from countries like Thailand where the export of flowers alone earns the country more than $ 5 billion a year. Nobody will dispute the fact that Pakistan needs economic reforms. But they should be reforms with a human face that focus on benefitting the poor, creating more jobs for them, providing them with basic services such as electricity and potable water, and addressing some of the country's most chronic social sector issues -- including insufficient and ill-equipped government schools and colleges, and the lack of proper healthcare facilities, especially in the rural areas where the majority of the population lives. One of the key areas of focus should be education, including providing more money for poorly funded government schools and colleges, boosting adult literacy, and building a chain of polytechnics across the country -- at least one in each tehsil / taluka of every district, for starters -- to provide vocational training to large numbers of young people in the rural areas and urban population centres to equip them with the skills they will need to find jobs. Tokenism will not do the trick. It has to be a massive programme, commensurate with the magnitude of the problem in a country of more than 165 million people. Poor countries -- and poor people -- differ from rich ones not only because they have less capital but because they have less knowledge. Fifty years ago, Ghana and South Korea had virtually the same income per capita. By the early 1990s, however, South Korea's income per capita was six times higher than Ghana's. Today, it is more than 15 times higher. Some analysts reckon that half of the difference is due to South Korea's success in acquiring and using knowledge. 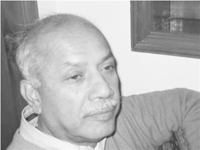 Anis Alam came to Lahore in 1960 and got admission in Islamia College Civil Lines, Lahore. He went for higher studies abroad, but came back and joined University of the Punjab as a lecturer. "Islamia College," according to Anis Alam, "had a galaxy of excellent academicians at that time." Professor Hameed Ahmad Khan, an eminent educationist, was the principal of the college. He had very capable people to assist him -- Prof Abdul Hameed Baig was head of the Physics Department, Prof Rashid of the Mathematics Department, Prof Eric Cyprian of the English Department and Prof Manzoor Ahmad of the Psychology Department. Anis Alam was a vociferous reader. He hardly left a volume related to physics in any of the then libraries in Lahore. He read biographies, autobiographies and popular books by or about eminent physicists / scientists. As a college student, he translated a book by George Gamow, entitled Mr Tompkins in Wonderland, into Urdu.. The book was published by Majlis Tarraqi-e-Adab. in politics of the Left? Anis Alam: My return from abroad to Pakistan after completing my PhD coincided with the last year of Ayub Khan's dictatorship. He was celebrating the 'Decade of Progress' at that time, though the people considered it a decade of despair. Inequality had increased and regional disparities had widened. The nationalists in East Pakistan, Balochistan and the NWFP were clamouring for a share of power and for their rights. At the global level, national liberation movements were in vogue at that time. Cultural Revolution was in full swing in China. There were huge workers' strikes and students' demonstrations in Europe and the United States. The long wave of upsurge in capitalist economies in Europe and the US was coming to end. The whole world was in the grip of revolutionary fervour. I just got caught in it. I was lucky to have some senior colleagues and friends who briefed me on the Pakistani politics. Those were very exciting times in University of the Punjab. The campus was alive with all kind of activities. There were discussion groups, literary and political meetings, and cultural activities. TNS: You wrote a book back in the 1970s? What was it about and why did you decided to write it? AA: I have always been interested in the philosophy of science, as well in the interrelation of science with society. In 1974, I was invited to deliver the presidential address to the Philosophy of Science section of the Pakistan Philosophical Congress. My paper was appreciated by delegates from around the world. The paper argued that contrary to the popular perception, modern physics theories of Relativity and Quantum Mechanics did not provide any support to the Idealist philosophy. They, on the other hand, extend our understanding from macroscopic world to microscopic and cosmic worlds. I further extended this work in two books edited in 1976, demonstrating that the change is the only permanent feature in the world. TNS: What were the restrictions on universities during the dictatorships of Ayub Khan, Yahya Khan and Ziaul Haq? AA: The Ziaul Haq period was the most damaging for the country. I had returned to the country in October 1979, right after the dictator had tightened his screws on the Pakistani society. All dissent was brutally suppressed. University of the Punjab was literally handed over to the right-wing Islami Jamiat-e-Talba (IJT). All teachers, considered even remotely critical of the right-wing elements in the University, were harassed and persecuted. As a result, a large number of them were left with no choice but to leave for abroad. University of the Punjab is probably unique in the sense that it lost almost 30 per cent of its most highly-qualified and experienced staff in the decade after Ziaul Haq came to power. The University administration, in connivance with flatterers and sycophants, conferred the Doctorate of Law degree on the usurper to curry his favours. In his acceptance speech, Ziaul Haq praised the right-wing elements and made them the virtual ruler of the University. A large number of teachers opposed this move. Some of them were dismissed from service, while others were transferred somewhere else. I consider frequent military interventions in politics a natural outcome of the way independence was achieved by Pakistan. Hamza Alavi has rightly pointed out that the countries that became independent as a result of the decolonisation process inherited state structures and institutions that often dominate rather than serve the people. The bureaucracy rules mostly indirectly, but also directly. Its policies often reflect the prevalent global orthodoxy. Ayub Khan practiced the developmental fascism, while Ziaul Haq practiced the religious fascism. The IJT, which is the student wing of the Jamaat-e-Islami, has established its fascism since the late 1970s, killing all intellectual and artistic expression either by faculty or students. They have used their influence to promote their sectional and clannish interests. The problems that University of the Punjab faces currently are a result of the right wing's dominance in the last 30 years. The University no longer functions as a university, but merely as an institution that grants degrees. In short, the University does not generate new knowledge despite claims to the contrary. Having spent more than 36 years at University of the Punjab as a teacher, I am saddened to find that its standards are not as high as they were when I joined it in 1967. TNS: You used to write articles and columns for newspapers and magazines. Why have you stopped that? AA: I used to write a weekly column in the early 1990s for The Frontier Post on various topics -- ranging from education, science and technology, development, environment, international and national politics, etc. I have also written for Dawn, The News International and The Nation, as well as for various other magazines and journals. However, I now feel that though time and personalities may be different, I probably have already expressed my opinions and analysis in my earlier articles. I do write occasionally, but I do not feel the urgency as I used to before. TNS: What were the reasons behind the failure of the Left Movement in Pakistan? AA: I feel that Pakistan is just one of over 100 post-colonial societies that had to make a transition from predominantly agrarian society to an industrial one. However, in the absence of a national bourgeoisie, and because of a weak and unorganised working class, the Left has very little or no presence in national politics. The politics in Pakistan is still dominated by traditional power wielders, who are willingly or unwillingly manipulated by the military and civil bureaucracy. I feel that we can have a Leftist stance on almost all the issues that confront Pakistan and its people and society today. The position essentially has to be pro-people -- of humanism, of acceptance of diversity, and of non-discrimination on the basis of differences in colour, creed, ethnicity, religion, nationality and gender. TNS: What are your views on the current political milieu in Pakistan? AA: Pakistan is blindly following and implementing the neo-liberal economic policies, which have increased inequality and insecurity among working populations in every country that has followed them. We have been made to accept that sate institutions do not work and must be abandoned, curtailed or handed over to the private sector. These institutions and policies worked in the decades after the Second World War. They created a large middle class in Europe and America and a small one in the developing world. The role of the state in the provision of services to people must be re-emphasised. TNS: What is the main problem facing Pakistan today and is there any remedy? AA: The main problem is the same all over the post-colonial world -- underdevelopment. The people have to be educated and trained to transform their resources (agricultural, mineral, etc) into useful goods and services. They should be educated to learn to empower themselves by knowing themselves and their environment (physical, biological, social, etc). TNS: Being a scientist, how you became interested in social history? Is there any relation between science and history? AA: Being a scientist, I learned to be objective. Besides being a scientist, I am also a citizen, a human, and a member of the world community. So everything that happens in Pakistan or elsewhere affects me and requires my considered response. For that, I have found a historical and dialectical approach very useful. I attempt to follow that framework in analysing not only the physical world but also the social one. All present was the future of the past. All the present will become the past of the future. Hence everything is connected. TNS: How do you view the ongoing lawyers and students' movement? AA: I am very supportive and appreciative of their movement. However, I do not expect it to bring about any significant change in the lives of ordinary people. TNS: Why the working class is not coming out on the streets? AA: The working class is weak. Also, it has not recovered from the repression and persecution of its leadership during the 1960s, and infiltration in its leadership ranks by right-wing parties under a plan by the state. One must remember that it took almost a 100 year and dedicated leadership and intellectual guidance by the likes of Marx, Engels, Rosa Luxemburg and Lenin before the working class gained its rights. So, the Pakistani working class still has a long way to go. TNS: How do you look at the state of education in Pakistan? AA: The education in Pakistan is not producing the people needed for its economy. It is not producing empowered citizens. Pakistani educational institutions, even at the college and university level, are being run like seminaries. The emphasis is not on learning, but on memorising facts and theories. In recent years a lot of resources have been made available, but in the absence of appropriate policies, and of qualified and adequately trained manpower, this investment has brought about only cosmetic changes. I am of the view that instead of feverish expansion that has been the case in the last decade, resources should be concentrated in a few places where they can be adequately used. Pakistan has had many turbulent experiences with elections; rigging has been commonplace, post-poll violence in 1977 led to a coup, higher courts have validated and nullified election results, etc. But never before has there been so much uncertainty in the build-up to an election. In some ways, tomorrow's general elections are the culmination of everything that has transpired since March 9, 2007. A year ago only a brave person would have predicted that the military regime that has been in power since October 1999 would, within a matter of months, face a huge crisis of legitimacy and be struggling to survive; or that an already tenuous security situation would degenerate even further; or that the traditional complicity of the higher judiciary with military dictators would be so dramatically overturned into unprecedented defiance. Put into perspective, Musharraf's fall from grace has been meteoric. His hand-picked finance / prime minister Shaukat Aziz is not even contesting the elections; instead, he is watching the action from another continent. The military top brass is quite deliberately distancing itself from its benefactor. The economy is in free-fall. Some commentators have been suggesting that Musharraf has braved the crisis, even celebrating his resilience. They seem to have forgotten that dictators cling onto power till the bitter end, but that even the most resilient of all cannot beat the march of history. The false sense of security is arguably best explained by the fact that people have not come out onto the streets to force Musharraf out. Thus, for all of the problems that the regime faces, it has not had to face outright rebellion, which, for some, is an indicator that it has not completely failed. This line of reasoning is naive only because it fails to acknowledge the fact that there have been no mass demonstrations in Pakistan for decades, which cannot be taken to mean that all governments that have come and gone in this same period enjoyed popular support. Instead the lack of mass mobilisation must be understood as a function of the state's ability to eliminate popular politics both through coercion and consent. Looked at in this way, Musharraf and the establishment more generally has been successful in preventing the re-emergence of popular politics. As in the past, the emphasis has been on instrumentalising Islam, co-opting as many different constituencies as possible through the selective distribution of patronage and, of course, the measured use of coercive force. But this does not mean that the ruling junta has entirely insulated itself from potential challenges. Indeed there is uncertainty surrounding the elections precisely because the establishment will not allow them to go ahead until and unless it feels confident that it can manufacture a result to its liking. And the fact that a regime that has been in power for eight years and used all of the state's resources to secure itself is now worried about an election reverse -- even while there is substantial evidence to suggest rigging of all kinds -- shows just how badly it has failed. Even now it is clear that the establishment is continuing to work overtime to piece together a dispensation that suits it. And at the end of the day, because power politics is so static and meaningful political alternatives conspicuous by their absence, it will probably manage something or the other. But nevertheless there is unpredictability of the kind that the establishment loathes. The Pakistan People's Party (PPP) holds the trump card insofar as it is expected to garner enough votes to be the major partner in a coalition government. As in the past, the establishment's relationship with the PPP is an uneasy one; compromises will be made, but mistrust remains high. In any case, in the immediate aftermath of the elections there is every chance of agitation and even wanton violence. There are numerous scenarios: if the PPP and its allies feel that rigging has been blatant, they might resort to protests; if the Pakistan Muslim League-Quaid (PML-Q) is routed, it might incite unrest; and the Muttahida Qaumi Movement (MQM) can always be counted upon to promote violence. In fact, it is even possible that the election day is marred by violence. Many observers have been pointing out for some weeks now that peaceful polling is simply a pipe dream in many parts of Balochistan and the NWFP. The army has apparently been called in to man 'sensitive' areas but as has become apparent over the past few months, the presence of the army actually encourages rather than stems violence. Even if there are no untoward incidents on the day, the fear that surely grips many ordinary people in violence-stricken regions is likely to compel them to stay inside their homes. There has been talk that the turn-out will be low; it has been low in most general elections over the past two decades but this time it could even lower, which could mean new questions emerging about how representative the entire process is. And finally it is still possible that the elections are called off at the very last minute. Even so, the elections remain, at the present point in time, the best bet for ordinary Pakistanis to express their resentment against the regime. That the regime has ruled out any possible recourse to malpractice by completely undermining the judiciary, or that the security situation is pathetic, or that the country's most popular politician has been killed does not change this fact. If the elections are allowed to go ahead, and if they do offer even a flawed indication of the popular will, the next question will of course be to what extent the establishment will allow the political process to play out. It will inevitably interfere and manipulate, but the question is to what extent. In any case, the uncertainty surrounding the whole process is a microcosm of the larger problems that confront the polity. The only thing that one can know for sure is that things will improve only when the military leaves politics to the people. Of course, it will not relinquish its preeminent position voluntarily. And until it is forced out, stability will continue to elude Pakistan. In this brief piece one can merely state the facts, all official ones at that, and suggest policy options to the next government. The ultimate solutions must be home spun and not dictated from abroad, and they must also be debated at length at appropriate fora and in the media. The elections probably will throw up three major political forces, with the two leading ones forming the next government. If by now the military-backed political forces have not recognised the writing on the wall, then the country is doomed. Let us only touch on the major sectors that must be considered, for one can merely start the debate and then leave it to the next government to take its own decisions. A piece by Dr Kaiser Bengali last week described the history of Pakistan's economy as having two parts. He described the first 30 years, from 1947 to 1977, as the "developmental period", in which the per capita income rose 10-fold, food output per person three-fold, fibre production four-fold, manufacturing output to replace costly imports a massive 40-fold, electric power production to compliment the need to manufacture 35-fold and primary education enrolment five-fold. The "development period" laid the foundations for future growth, but how did things turn out to be in the next 30 years? From 1977 to 2007, Pakistan can be classified as a security state; the priority was security, not development of the poor, which means by implication of Pakistan. "We have landed in a situation where the Chief of Army Staff needs security to save his life, the Chief Justice of Pakistan is searching for justice and the people are looking for food," an analyst aptly describes the situation. From 1972 to 1977, the average annual increase in the country's defence spending was two per cent, less than half of its annual average gross domestic product (GDP) growth. From 1977 to 1988, the average annual increase in the country's defence spending was more than nine per cent, which was more than double of its average annual GDP growth. By 2006, the increase in the country's defence spending was a massive 23 per cent, which was almost four times of its average annual GDP growth. According to a research paper, the armed forces of Pakistan own more than 26 per cent of the entire wealth of Pakistan. By 2007, the situation became so grave that the government could no longer afford to fund increasing expenses of the armed forces. This is the truth that the next government will have to face; it can only choose to ignore it at the cost of its own peril. As Pakistan stands near an economic collapse, the government has resorted to its favourite practice -- of cutting the Public Sector Development Programme (PSDP) by billions of rupees. How do we get out of this mess? Once elections are over, the Pakistan Army must return to the barracks; the Political Wing of the Inter-Services Intelligence Agency (ISI) must be shut down; and, most importantly, the entire corporate assets owned by the armed forces, no matter what their legal status, must be privatised. It is now in the fitness of things that all foundations, trusts, and public and private limited companies owned indirectly or directly by the armed forces must be sold off. The money collected must then be used to modernise the armed forces, so that they stick to being a force facing outwards and not inwards -- and, in the process, messing up Pakistan's economic, social and political future. This is the foremost objective that the next government must strive at achieving. Let us look at Pakistan's population over the years. In 1947, the population of West Pakistan was about 32 million. Today, it is more than 165 million. This means that the average annual population growth rate is actually 6.9 per cent and not 2.3 per cent, as touted by our economists. We must put into place policies that encourage family planning. One is not advocating a 'China-style' policy, but a sensitive one based only on education and awareness. The next government will also have to deal with this problem. The twin menace of inflation and increasing bank interest rates must be tackled with prudence and imagination, and not with Finance Minister Salman Shah's style of denying the obvious all the time. The governor of the State Bank of Pakistan (SBP) has repeatedly said, and rightly so, that the massive government borrowing was way beyond the agreed guidelines. The inflation that the poor of Pakistan currently face has been brought on solely by the military regime. The food inflation figure for January 2008 alone was 12.9 per cent. To still think that all is well is beyond comprehension. The next government will surely have to plan prudently the future food security of the country. First and foremost, the next government will have to restrict bank borrowing and monetary expansion. It would be best to let the SBP manage the country's monetary policy as it deems fit. Put simply, let the experts do their job and stay within spending limits. This is important and the parliament must also be informed about the economic situation on a regular basis. Also, there is a need for informing the citizens about the actual foreign and domestic debt owed by the country. The current account and trade deficits have exceeded all estimates and have broke all past records, and currently are beyond safe limits. To add to this the fact that the caretaker government is not passing the burden of the increasing oil prices in the international market to the consumers and the next government will have to take this difficult decision, at the cost of its own popularity as well the degrading of democracy. To achieve progress as a nation, the military must to first informed and educated about its role as per the Constitution. Finally, political, judicial and administrative institutions must all be fully restored, and allowed to function in accordance with the Constitution. Short of this, we will never be able to get out of the mess we are in as a nation right now. There is nothing wrong with Pakistan and its economy. It is just that the government must return to a developmental mode, try to restrict the ongoing consumer frenzy, and allow banks to give loans at reasonable rates to manufacturers, especially those earning foreign exchange and indulging in import substitution. The international political order is changing once again. While our political leaders are correct to assume that Pakistan will definitely play a role in shaping this order, this should not distract us as Pakistanis from trying to establish our own unique position internationally. For a long time, Pakistan has shaped its policies in line with the international interests. However, such policies may be far from prudent in the short-term and impractical in the long-term. With presidential elections in the United States at the end of the year and the Democratic Party expected to win, Pakistan's relations with the US are likely to sour in the days to come. Already many questions have been raised regarding America's financial and military support to Pakistan, and it has been advocated by some lobbies that the latter should not be given more support as an ally in the US-led 'war on terror'. Considering this, we should first aim at doing away with the tendency of depending on others. Second, with the international economic slowdown, the global economy seems to be heading for recession, the seriousness of which remains to be seen. The impact on international commodity prices, export prices, etc, however, would both directly and indirectly affect the Pakistani economy. Hence there is a need for moving towards regionalism and the 'Greater South Asian' project. While this in itself is nothing new, the relevance of and the demand for assuming a proactive role in making this a reality has never been stronger. Over the past few years, as hostilities between Pakistan and India have simmered so has the realisation that peace between the two countries is not only possible but is also essential. Until the early 1990s, Pakistan's policy of competing with India in every sphere seemed practical and desirable. However, since India's position has changed internationally, Pakistan must take advantage of the economic opportunities that the neighbouring country offers rather than wasting resources on unnecessary competition with it. Similarly, India also requires massive resources and investments to develop its infrastructure -- something it can achieve by improving its relations with Pakistan. Importantly, India is positioning itself as a future world power. As has been witnessed in its negotiations with the US regarding civilian nuclear cooperation, India is clearly positioning itself independently and not under the diktats of the sloe superpower. Likewise, improving relations between India and China suggest increased economic linkages between the two countries. Indian Prime Minister Manmohan Singh's recent visit to the province that has been the centre of a border dispute with China, and his announcement of major development projects at the heels of his visit to Beijing, highlights the normalisation of ties between the two countries. Pakistan, while being described as "cursed geographically", must shake of the long prevailing view of the region and develop a more pragmatic approach towards the 'Greater South Asian' project. Pakistan is uniquely placed bordering China and India, both of which are likely future world powers. While there may be some debate about the position that the two countries hold in the international order, with a population of over a billion each, one thing is for sure -- they offer vast economic opportunities. It is important to note that both China and India, despite having a considerable population of the middle class, still have large segments of society suffering in poverty. This consumption-based middle class should be a clear target for Pakistani producers and manufacturers. While doomsayers in Pakistan fear that Chinese and Indian products would destroy the local manufacturing industry, the fact remains that the larger market access that the two countries offer would ultimately benefit the relatively smaller country -- Pakistan. Pakistan must take advantage of its geographic position and aggressively pursue the opportunities that the South Asian region offers. These may be divided into various segments, including focussing on commodities, services, education, people-to-people contact, etc. Both India and China are net resource importers, and are focussing on producing items at the primary stage or at a lower stage of value addition. To counter the doomsayers who may argue that such moves would cripple the Pakistani industry, the revenue generated by increased sales to India and China could provide a sustainable source of investment for developing products at a higher stage of value addition, to be sold in the international market. Secondly, the Pakistani industry would also be able to create a niche for itself; rather than attempting to compete in each and every sector with India or China, which is impossible due to factors such as economies of scale. Further, quality conscious consumers in the West may be lured towards Pakistani products, developed by the investment generated from sales to other countries in the region. Pakistan should also pursue aggressive opening of the services sector of the two countries. The Pakistani banking sector remains one of the best performing in Asia and this expertise may be exported to other countries in the region. In this case, Pakistan has all to gain due to the size of the potential markets. Most importantly, a liberal visa regime is required. In short, all visa requirements should be abolished across South Asia. Both India and Pakistan have visa-free arrangements with Nepal, and the extension of such bilateral agreements to the larger countries of the region would help to calm the fears of sceptics. Trust and regional cohesion can only be achieved through greater interaction and increased linkages. Further, as the Indian middle class grows, the sheer curiosity of visiting Pakistan along with friends and family would give a boost to the host country's economy. While there may be many manifestations to the processes of regional integration, any measure -- while noting the centrality of India -- must not focus primarily on it. Pakistan's economic relations with Nepal, Bangladesh and Bhutan may only be furthered by the Indian government allowing land access. Further, Pakistan can offer access to Afghanistan and Iran, thus creating a complex web of mutual dependency that would help to integrate the region. Again, because the scale of production of Indian industry is much larger, Pakistan would generate large amounts from transit trade -- from India to Afghanistan and Iran, and vice-versa. The scope of the 'Greater South Asian' project could easily be expanded by China's entry, which already has extremely warms ties with Pakistan, while its relations with India are growing. Across South Asia, efficient resource allocation would provide the required investment while the shared experiences would provide the human resources to lift millions out of poverty. The lawyers' community has stood by its commitment to the independence of judiciary, and is still protesting against government actions and removal of judges of the superior judiciary. The new government from the beginning would have to face this challenge and would need to take some quick decisions to resolve this dispute -- whether to revive the judiciary to its pre-November 3 status, which at the moment appears to be unlikely, or let the ongoing protest of lawyers continue. The present wave of judicial activism is something new in the country's history and none of the political parties contesting the elections have any experience of dealing with such an independence-seeking judiciary. Though the country's two largest political parties -- the Pakistan People's Party (PPP) and, in particular, the Pakistan Muslim League-Nawaz (PML-N) -- have been advocating for a free judiciary and even reinstatement of the deposed judges in their election campaigns, it remains to be seen what they would actually achieve towards this end if they come to power. Attorney General of Pakistan Justice (r) Malik Qayyum has repeatedly said the amended articles of the Constitution do not need the next parliament's ratification, but this is not in line with the principles enshrined in the 1973 Constitution. Thus, these amendments -- introduced without the parliament's approval -- have raised serious questions about the state of democracy in Pakistan. If the new government puts this issue in the cold storage, this would seriously damage its credibility. If it does not, then a new crisis may emerge. Past experience shows that successive governments have not been very keen on maintaining their credibility, as a true democracy has never been established in our country. Independence of judiciary would mean curtailing powers of the executive, which has occupied a dominant position in state affairs since Pakistan's independence. This trend is so entrenched in our politicians that they are facing great difficulty in accepting any such attempts at separation of powers among the institutions that may give independent decision-making power to the judiciary. Any new government, therefore, would have to take into account the ground realities while dealing with the judiciary. On the other hand, the people have started regaining their confidence in the superior judiciary and have started expecting speedy justice. With excellent handling of sensitive cases of public interest, like that of the Pakistan Steel Mills (PSM) and the missing people, the judiciary has been able to mobilise mass public support for its daring initiatives, which became evident after the March 9, 2007, suspension of Chief Justice Iftikhar Muhammad Chaudhry. Therefore, any attempts by the new government to hamper the current wave of judicial activism may prove to be counter-productive. Another challenge for the new government would be the independent media. Like the independent judiciary, there has also never been such an independent and outspoken media in Pakistan. With so many new independent private channels, some of which do not tow the government's line, it would be an unusual challenge for the new government. Even though the media's independence has been curtailed under the amended Pakistan Electronic Media Regulatory Authority (Pemra) Ordinance, yet none of the major political parties contesting the elections have dealt with such a powerful watchdog before. The state-run channels have not been able to establish their credibility among the masses. With so many new independent private channels, the public's reliance has shifted from the state-run media to them for news and information. Therefore, the new government would not be able to feed the public with its own version of news, like the previous governments, and would have to adjust to the new ground realities. Though the opposition parties have used the new independent private channels for election campaign, the real test of these parties would be after they come to power. The case is different for the print media, which had struggled a lot to reach its present status. The government has not been able to manipulate or control the print media like it has influenced the electronic media under the Pemra Ordinance. Successive governments have tried to control the print media through different tactics; nonetheless, it has largely sustained the government pressure and has maintained its independence. It is likely that the print media, more than the electronic media, will challenge the new government with its growing credibility and influence. Besides an independent judiciary and media, the present local government setup would pose a serious challenge to the new government. In the previous government, the Pakistan Muslim League-Quaid (PML-Q) had a majority in three provincial assemblies as well as most district assemblies, and enjoyed harmony and coordination at both levels. Hence there was no or very little clash of interest at the district and provincial levels. In case other parties are able to form governments in these provinces after the elections, it is very likely that there would be lack of coordination among them and the local governments. Amidst these unusual challenges, it would be a real test for any new government to run the country's affairs. The judiciary and the media have become watchdogs, which are not only scrutinising government actions and policies, but have also created greater awareness among the masses. These challenges are new for the political parties contesting the elections. The changed environment has also put more pressure on the executive, which would make governance challenging for the new government. Some other smaller political parties and a strong group of 70 independent candidates, apparently backed by the establishment as plan 'B' if plan 'A' of getting the PML-Q ahead in the run fails, are also in the race. On the other hand, the All Parties Democratic Movement (APDM) -- comprising the Jamaat-e-Islami, the Tehreek-e-Insaf, and nationalist parties from Sindh and Balochistan -- is also in the run, but to appeal to the masses not to vote in what it terms "fraud elections" under Musharraf. One of the key pro-establishment candidates from Rawalpindi has hinted that the 70 independent candidates backed by the establishment will play a key role in what he called the "hung parliament" to save Musharraf. There is no doubt that Pakistan's election history is tainted with rigging by the establishment. But this time around, the establishment has been so exposed much before the elections that any foul play by it may lead to the country's disintegration. Political pundits have hinted at a major crisis if the polls are rigged this time, as earlier only the opposition parties did not accept the results after loosing elections, but this time the people of Pakistan will also not accept the results if pro-Musharraf candidates win the polls. A recent survey by the United States-based International Republican Institute (IRI) shows a clear cut two-thirds majority for the two major opposition parties -- 50 per cent for the PPP and 22 per cent for the PML-N -- in tomorrow's elections. On the other hand, there has been a drastic decline in Musharraf's popularity, which currently stands at just 15 per cent -- the lowest since he usurped power in 1999. Similarly, the pro-Musharraf PML-Q enjoys only 14 per cent support among the masses, mainly on account of the multiple crises facing the country. It is also important to analyse the election campaigns launched by the three major political parties if one wants to understand the situation on the ground. Even the PML-Q's main leaders, the Chaudhrys of Gujrat, have excluded any reference to Musharraf in their election campaigns, unlike what they did in the 2002 general elections. Some of the PML-Q's main candidates, including Sheikh Rashid and Sumera Malik, have even stopped using the party's name in their election campaigns and are seeking votes on the basis of their personal performance. The PML-Q has based its whole election campaign on three points: a) Nawaz Sharif gets dictation from Zardari; b) the PPP will split into four factions; and c) the 'development' works initiated by it in the past five years. This leaves no doubt that much of the PML-Q's election campaign is aimed against its major rivals and is devoid of any content. The party has perhaps intentionally chosen not to present its 'achievements' before the electorate, fearing backlash for its flawed policies that have made life miserable for the common people. Political analysts of international repute have categorically said that Musharraf has lost support drastically for his anti-democracy, anti-media and anti-judiciary actions. The Washington Post quoted this week IRI's survey to call into question the belief of US officials that the elections will produce a hung parliament, with power divided among the three major political parties, independent candidates, and a handful of smaller ethnic and religious parties. Under the Bush doctrine, US officials still believe that Musharraf has a magic wand to continue in power to serve the American interests. But the latest trends in Pakistani politics tell a different story. Now US senators, as well as presidential candidates, have started casting doubts about Musharraf's capacity to stay in power and called for reviewing steadfast support to him. The US think-tanks have also hinted that the people of Pakistan seem fed up of Musharraf. The PML-Q, despite having comrades in the caretaker national and provincial governments and enjoying full support of the local governments, seems to be in real trouble, mainly on account of lack of any clear cut programme for the betterment of the people and declining support for Musharraf both nationally and internationally. The PML-Q's criticism of Nawaz Sharif does not hold solid ground, as he at least seems more credible than the Chaudhrys of Gujrat. The PML-N has presented balance sheets to compare the performance of its past government with that of the PML-Q's, which reflect that the latter was the worst in terms of skyrocketing prices. In Nawaz Sharif's second tenure as the prime minister (1997-1999), wheat / flour was available for Rs 7 per kilogram, while its price reached Rs 25 per kilogram with the PML-Q at the helm of affairs. Similarly, the prices of essential commodities like sugar, edible oil, rice, milk, bread, meat, petrol and fertilisers increased manifold in the last five years when the PML-Q was in power. If we take a look at the PPP's election campaign and its rising vote bank, we find that with the assassination of Benazir Bhutto the people of Pakistan are giving it a serious thought that why the establishment is killing Bhuttos one after the other. Benazir is the fourth Bhutto to be killed since 1979. The question is being widely asked why only Bhuttos are killed. Those who killed Zulfikar Ali Bhutto, Shahnawaz Bhutto, Murtaza Bhutto and now Benazir Bhutto mistakenly thought that they can break the Pakistan's first and only pro-poor party. But history is a witness to the fact that the PPP is still intact. Though Chaudhry Pervaiz Elahi declares almost on a daily basis that the PPP soon will be split into four factions, the party is gaining more and more strength after the assassination of Benazir Bhutto. There is a growing realisation among the masses that if the PML-Q gains power again, it would not be in their interest. That is why it is generally believed that the PPP will emerge as the single largest party after tomorrow's elections, with the PML-N in the second position. The exit polls conducted by national and international institutions suggest that Musharraf and his allies may not be able to form the government this time, while their opponents may have a clear vote to form a coalition government. If the results turn out to be otherwise, through rigging and stealing of votes, then the country would experience another wave of violence to say the least. (The writer is an Islamabad-based journalist. Without speculating on the future ruling party or coalition, a sizable responsibility shall rest with the formation of Cabinet. A pre-requisite for improving governance in the country is the selection of right people for various ministerial slots. Certain portfolios show remarkably similar patterns. The Finance Ministry, for instance, has always been headed by a conservative, pro-establishment person with an experience of working in the international financial institutions (IFIs). While possessing impressive credentials and excellent networking abilities -- with cronies in the IFIs -- the previous finance ministers have never been able to go beyond the servicing of routines. No wonder that common folks seldom received innovative policy relief that could sustain them through the endless odds of daily life. One can ask the peasants, farm labourers, fisherfolk, skilled workers, primary school teachers and countless ordinary traders who shall affirm the bankruptcy of policy and action, which fell way short of improving the lot of other common people like them. Economic and financial wisdom at the global level may be a merit, but the understanding of local economic issues must be the deciding factor in choosing the future finance minister for the country. The Interior Ministry and its counterpart Home Departments in the provinces are headed by ex-servicemen or those cleared by the head honcho of the armed forces. It is important to note that the national and provincial security structure essentially depends on the police force. Undue interference by the central authority and inappropriate appointments at key positions all across the ladder have resulted in the total erosion of the capability of the police force. With the United States practically meddling in Pakistan's affairs at all levels, it is impossible to imagine a potent law and order structure. A proof of the decay is the recent police encounters in Karachi and Mardan, where the force had to suffer causalities that could have been avoided. One of the foremost challenges that shall be faced by incoming head of the Interior Ministry includes restoration of professional capabilities of the police force. The president or the prime minister should not be dealing with matters like the Lal Masjid episode. For the Interior Ministry, the objective of affecting policies in consonance with national security must remain supreme. The armed forces have their own objectives, which are challenging enough to keep them busy within their respective jurisdiction. The time is ripe for dumping the regime apologists -- having mediocre communication / diplomatic skills -- as foreign ministers. In the Ministry of Foreign Affairs, one has observed a landside fall in the capacity and acumen of the reigning incumbents. The likes of Sir Zafrullah Khan and Zulfikar Ali Bhutto could never be found. At best, military regimes were under clandestine obligation to fill this post with trustworthy pawns to carry the mission of the GHQ-White House alliance. No wonder that in the brief interlude when late Zain Noorani steered the Geneva accords towards Soviet withdrawal from Afghanistan, the frowns were visible on the dictatorial faces. Even common people know well the tenets of foreign policy that need to be pursued in the future. From a contractors' relationship of lowly nature, Pakistan needs to gradually withdraw from the obligatory association of 'war on terror' to bolster the domestic front. At least a quasi-independent and professionally-oriented approach should be adopted. The incoming regime must choose a highly enlightened, cool headed and presentable individual for heading the Foreign Office, capable of acting more than a yes (wo)man. The selected individual must ensure that the defence procurement policy does not override the national foreign policy. Much has been written about the credentials of the past and present ministers who held the information / media affairs portfolio. To be honest, it was a mixed bowl. From certified clowns to brainless loyalists, the Information Ministry has tasted the true flavour of diversity. It must be realised that mere freedom of media is not enough to do justice to this vital sector. The goals of media promotion and development must be at the centre of any media policy that the future government may choose to enact. The information minister must be a person who should command respect and trust of not only the media community but the entire public. The incumbent must structure the policy and approaches to facilitate honest reporting, objective analysis and creative entertainment for the masses. We are living in times when merit becomes a deadly handicap. Its deadliness increases several folds when found amongst prospective leaders. The overt and covert arms have been very efficient in lowering all such talented folks into graves prior to the expectation. Search for the appropriate people, thus, becomes an uphill task. There will be other equally arduous challenges for the new regime to face. Examining the heads of various departments, autonomous bodies and agencies that have been sitting there simply by virtue of their loyalty to the establishment will be the starting point. According to a claim made by Senator Enver Baig, more than 1,100 serving and retired servicemen are occupying civilian jobs. On the other hand, about 700 civilian officers are awaiting posting. The tasks for the new Cabinet will certainly be more challenging than anticipated. These objectives, however, could not be achieved so far, primarily because of the establishments of the respective countries. Husain Naqi believes that the establishments of all Saarc member countries have vested interests in keeping the people divided; and it hinders, by design, the free flow of information across borders, especially exchange of newspapers, periodicals and books amongst these countries. As Saarc -- comprising the seven countries of Bangladesh, Bhutan, India, Nepal, Pakistan, Sri Lanka and the Maldives -- has been a non-starter since its formation on December 8, 1985, Safma was established in 2001 with the aim of forging collective and integrated efforts for a free media, right to know, freedom of expression and free flow of information across borders. In April 2007, at Saarc's 14th Summit, Afghanistan became its eighth member. Husain Naqi sadly relates that a visible progress cannot be made so far to achieve the objectives of the Media Monitor. "The best way of achieving these objectives is to put pressure on the governments of Saarc member countries, with the help of media organisers, journalists, civil society members and political forces," he suggests. "Till the 1965 War between India and Pakistan, the two countries would regularly exchange newspapers, magazines, books, films, etc. But then a strict restriction, which is still in place, was imposed on all these exchanges," Naqi regrets. "If we could afford exchange of newspapers at that time, why not now?" he asks. He said even sending printed material of safma across borders is not allowed. However, the governments cannot block the Internet editions of these publications, which may be accessed and read by the interested people. Husain Naqi urges a political solution to this problem: "A large number of people in all Saarc member countries are living below the poverty line. There is a greater need for cooperation among these countries in the fields of economy, education, health, science and technology, journalism, etc. There should be total free flow of information in all its forms and the governments of these countries should sign political agreements in this regard." Some other organisations and individuals -- including Internews, the Pakistan Press Foundation and the Green Press -- are also working for the freedom of media in Pakistan. They compile data on violation of rights of media people, publish their annual reports, and disseminate them both in the country and abroad. However, the SAMC covers the issue in its annual publication, Media Monitor, more comprehensively. Currently, the main source of recording violations of rights of media organisations and media persons, and documentation of media development, is the SAMC, established on April 2, 2007. Its major objective is to develop a mechanism to spread news of any violation of media rights or intimidation of journalists or their organisations though print, electronic and Internet networks simultaneously in all eight member countries of Saarc. The Commission has set itself the task of devising codes of practice and guidelines for media organisations to deal with diverse situations affecting journalists. The Commission also addresses the principles of media accountability, transparency and social responsibility. During 2007, South Asia witnessed a variety of conflicts that not only threatened journalists' physical safety, but also placed their ability to tell the truth freely and objectively at risk. Fractious and corrupt politics, ethnic and communal hatred, authoritarian tendencies, intolerance, deterioration of judicial and administrative structures, local nexus of criminals and corrupt politicians, and intra-state and inter-state conflicts created an obstructive environment for reporters to report freely. Most vulnerable are the reporters or the local press that come under greater pressure from the local mafias, corrupt police officials and powerful politicians. Generally, the governments showed a distaste for criticism and the parties in power continued to lecture the press on how not to report and how to uphold 'national dignity', a pseudonym for not to wash their dirty linen in public. The media was coerced, pressurised or cajoled to fall in line and 'not to cross certain limits' in most countries of South Asia. Yet, due to a wave of information revolution, and a more determined and organised media, the media community showed courage in all countries of the region in asserting its independence. The media laws in the countries of South Asia continue to remain a hurdle to the growth of free media. Yet the scope of the media's freedom and independence has grown tremendously. The expansion of electronic media in most countries of the region has been phenomenal. The initiative taken by Safma to amend the media laws in Bangladesh, India, Nepal, Pakistan and Sri Lanka has produced not only critical reports, but also helped re-write press laws in these countries by media people. There is an urgent need for putting together joint fronts of working journalists, editors and owners to push for media-law reforms in each country of South Asia. A model law on information, presented by Safma to Saarc as protocol, awaits the attention of resisting bureaucracies. 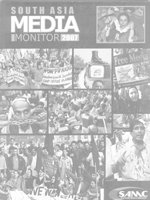 South Asia Media Monitor 2007 covers various issues like its previous three editions. The comprehensive report offers country profiles, reports, articles, reviews and comments by media experts belonging to the member countries of Saarc. The publication terms 2007 "the bloodiest and the most difficult period" for South Asian journalists. 25 journalists and media workers were killed in the region in the year. "The journalists and media outlets suffered from horrendous conditions in the conflict-ridden regions, and faced unprecedented restrictions and forced closures in Pakistan, Sri Lanka and Afghanistan," the report informs. "Twenty-one journalists and four media workers were killed in South Asia in 2007. Pakistan topped the table with seven deaths, followed by Sri Lanka with six and Afghanistan with five killings in the line of duty. Three journalists were killed in Nepal. One media worker in Afghanistan and three in India lost their lives in this period." Husain Naqi, while lauding the effort and terming it an exclusive work, believes that the Media Monitor could be improved further, not only in terms of content but also design. "But the people attached with it lack commitment. They should put in more effort to improve it. Vigorous and concerted efforts are needed to end the stalemate, found in its content and design," he concludes.